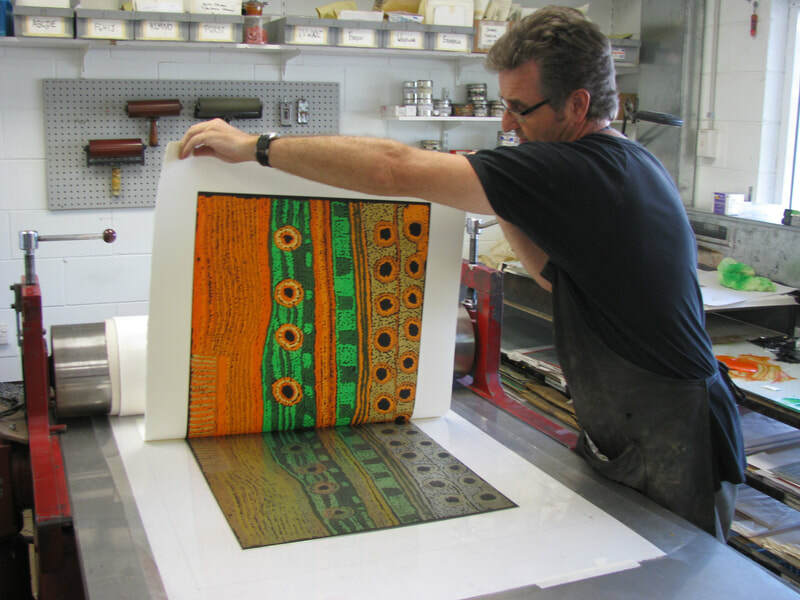 Basil Hall has been an artist and teacher for over 40 years and a custom printer for other artists since 1983. He studied at the Canberra School of Art under Jorg Schmeisser, and later taught there whilst running Studio One Print Workshop for ten years. 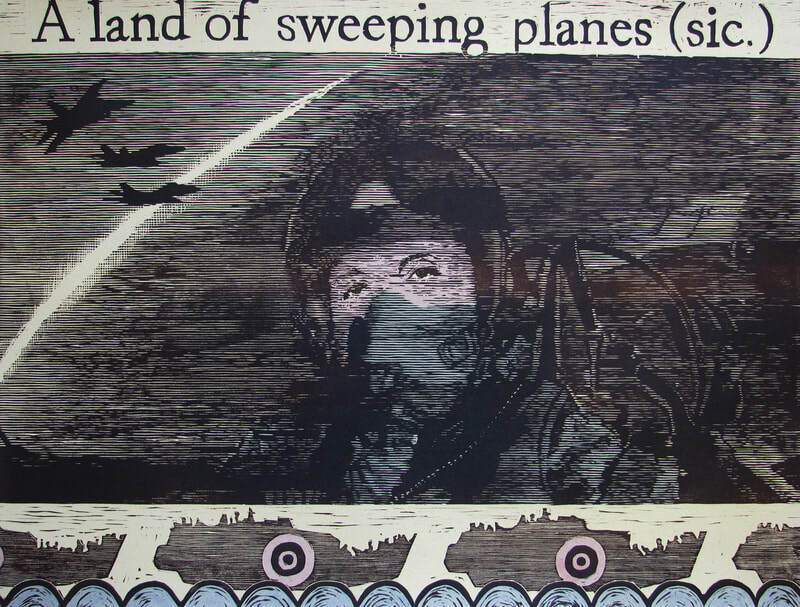 In 1995 he received a Churchill Fellowship to study at printmaking studios in Europe and USA. 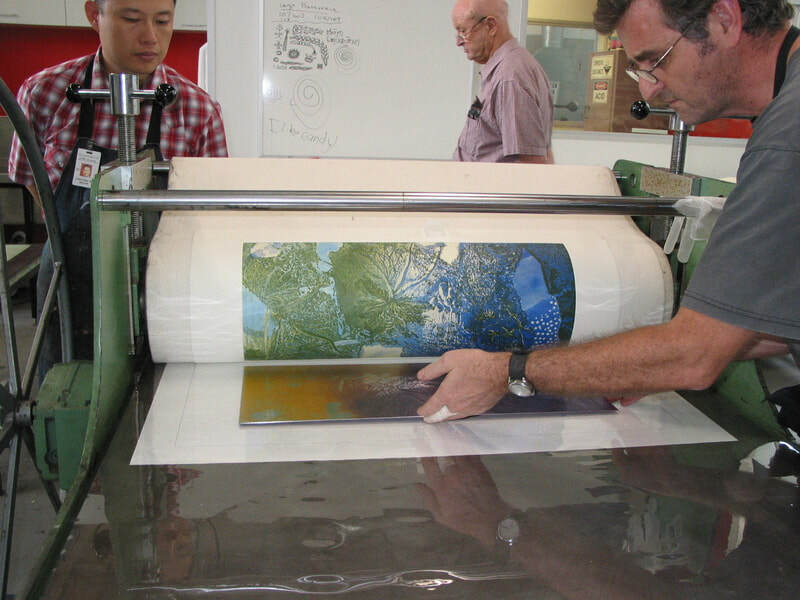 From 1996 until 2001, he was Printmaking Lecturer at the Charles Darwin University, NT and Editioning Manager of Northern Editions. In 2002, he started Basil Hall Editions in Darwin. Basil has travelled regularly to remote aboriginal communities and other locations in Australia to instigate and collaborate on printmaking projects and he and his printers have made several thousand editions with artists from over 55 Indigenous Art Centres in Central Australia, Arnhem Land, the Tiwi Islands and Kimberley area of Western Australia.